Are you in search of condos for rent? If so, you've come to the right place. RealRentals.com showcases thousands of condos, apartments and houses for rent posted by property managers, real estate agents, and private homeowners. Thousands of rental houses are added daily, so you're sure to find the perfect home in no time. Do you have a house for rent or manage houses for rent? Post a listing, let us broadcast it to our affiliates and start advertising your rental houses - today!Hundreds of new rental houses are added daily, so you're sure to find a great Salinas rental house in no time. Do you have a house, or multiple houses for rent in Salinas? 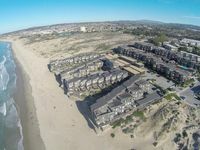 Post a FREE Rental Listing and start advertising your Salinas house, condo, townhouse, loft, patio home, duplex, mobile home, cabin or cottage - today! Beds 1 Bath 1 - 3731 Baylights By The Se...Beds 1 Bath 1 - 3731 Baylights By The Sea | ID: 3787893. Beds 1 Bath 1 Sq_ft 830- 3740 Sanctuary ...Beds 1 Bath 1 Sq_ft 830- 3740 Sanctuary In The Dunes | ID: 4172346.